The YSCE and I have been hitting the yard sales a little less intensely this season, but still enjoying them all the same. Our little Scottie, Mitty, has also accompanied us on those mornings that are not so hot. That proved to be interesting the day we found a nice floor lamp for YSCE’s office which involved rearranging Mitty’s seating assignment. It seems that I have been fortunate to find something retro each of the past Saturdays. I have said before that I love church sponsored yard sales. They almost always provide me with a treasure or two. Recently one of the more historic churches in the area had a sale. I really need to remember to take pictures at yard sales. This church is just gorgeous. I arrived near the end of their sale day (which also meant half price!) 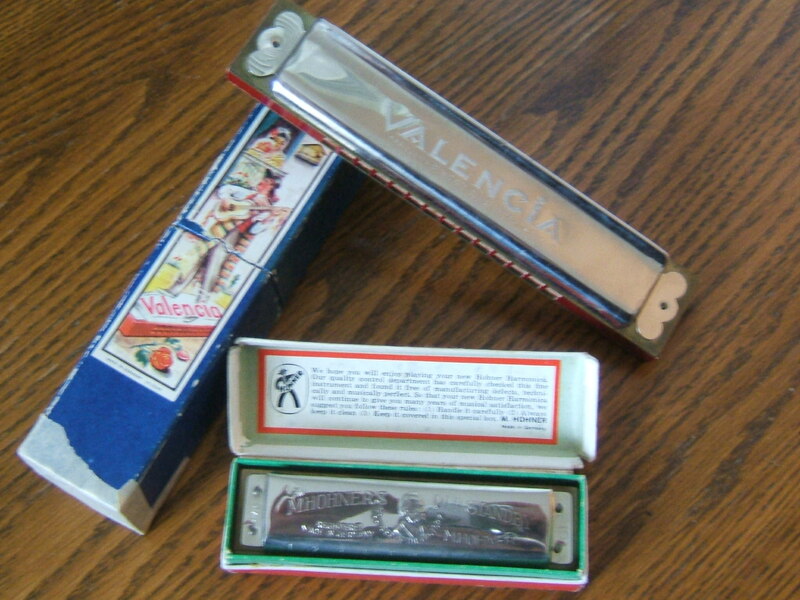 but still found some old harmonicas, which YSCE promptly tested once we were home. 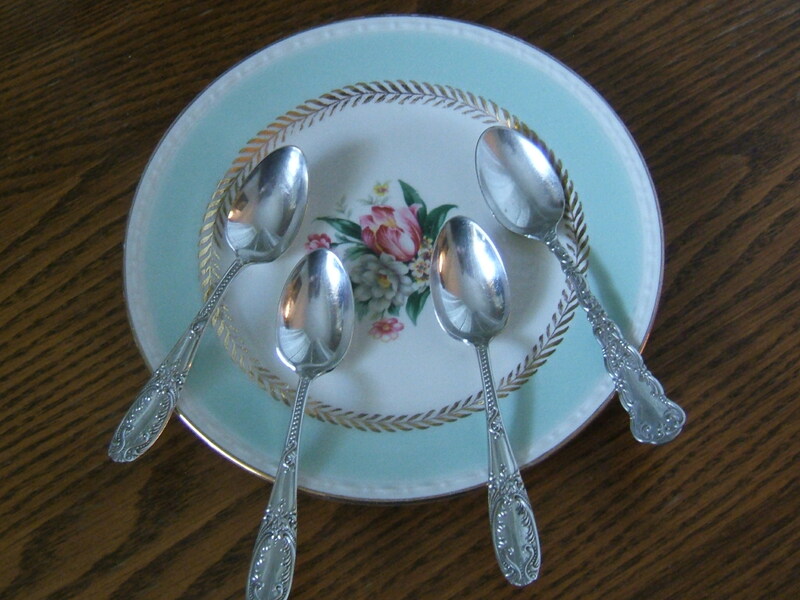 I also found these beautiful vintage silver plate demitasse spoons. I also found an old book from Colonial Williamsburg on how to decorate for Christmas. I love the beautiful natural decorations displayed at Williamsburg during the holidays. Some modern toys, ornaments, and Star Trek playing cards also found their way home with me. 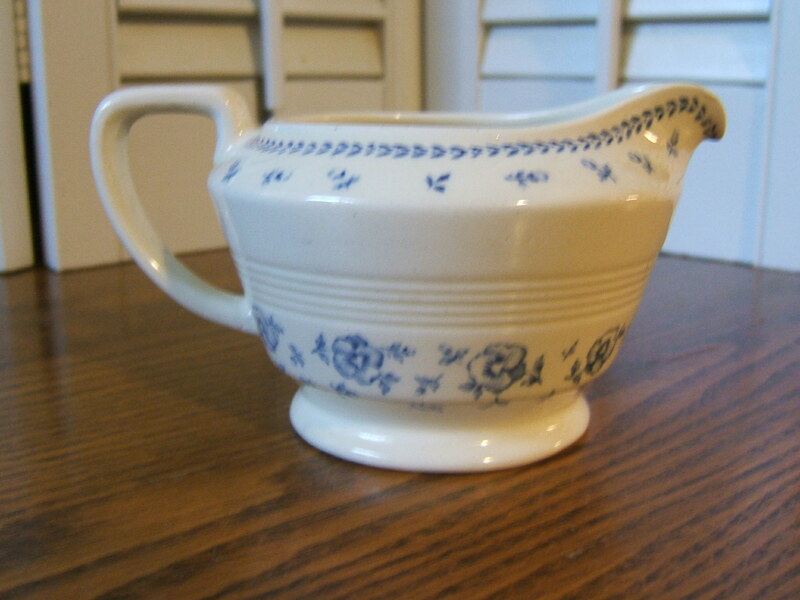 On another Saturday and at a different church sale I found this sweet English pitcher in the Cape Code pattern. You know it’s difficult for me to walk away from white and blue or cream and blue! For the Star Trek lover in the family, I was fortunate to find this beauty in the original box. 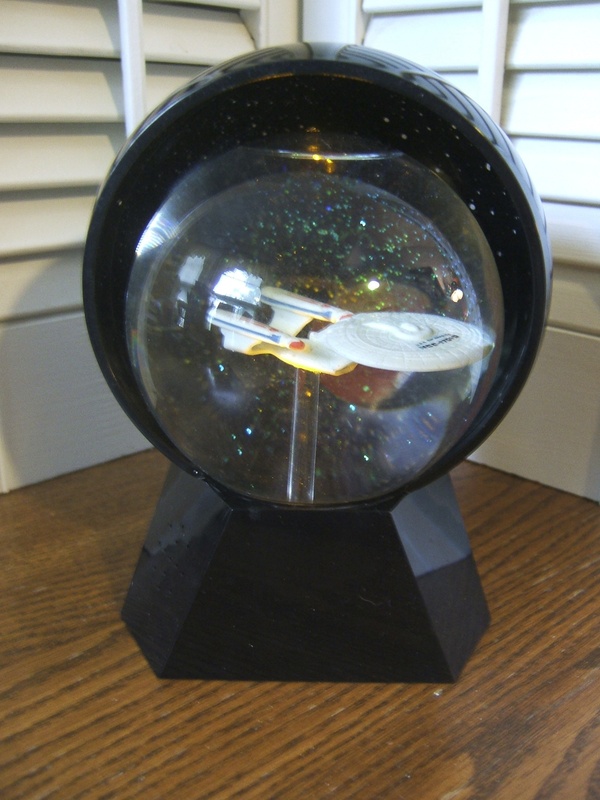 This is a Next Generation globe that lights up and also plays a part of the theme song. After some attention to the corroded batteries and some scrubbing with an old toothbrush, I got this back in working order. Our Trekkie was pleased with this find. 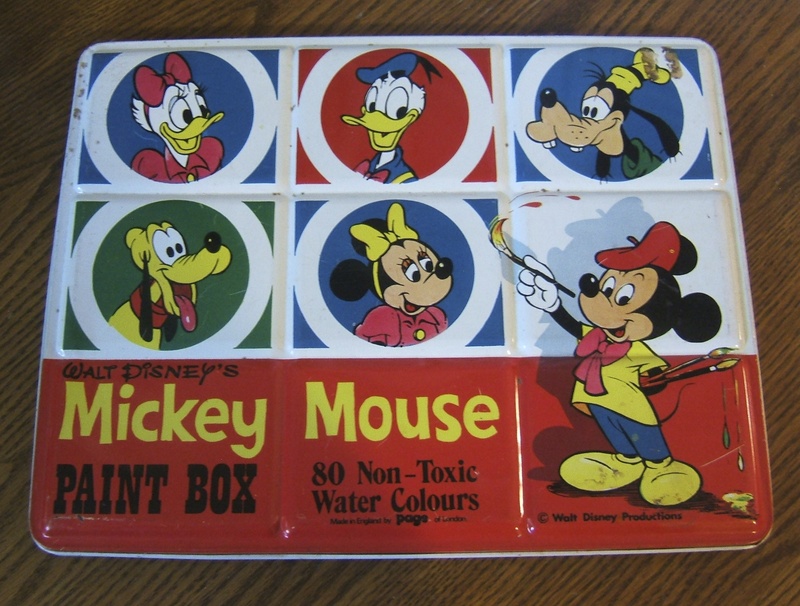 Other retro items included this old Disney tin paint box by Page. I love the graphics of this beauty. I also found some rolling stands for plant pots. I looked at something similar in the home improvement store and just couldn’t bring myself to pay the price for them. The ones I found need some TLC and maybe a bit of spray paint, but they are perfect for the large terra cotta planters on our deck. $2 for 2 was more in line with my preferred price. 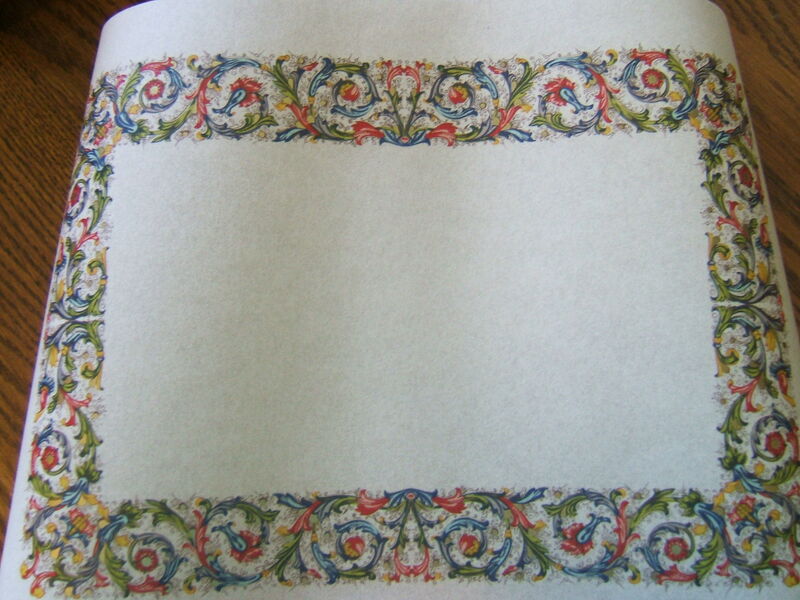 The parchment piece above was so pretty I just could not pass it by. It was a steal at 50 cents. I had no idea exactly what I would do with it, but its beauty called to me. We have some friends who are very active in a Renaissance group; I think they might be able to utilize this stunning piece of parchment. This past Saturday was yet another church sale. 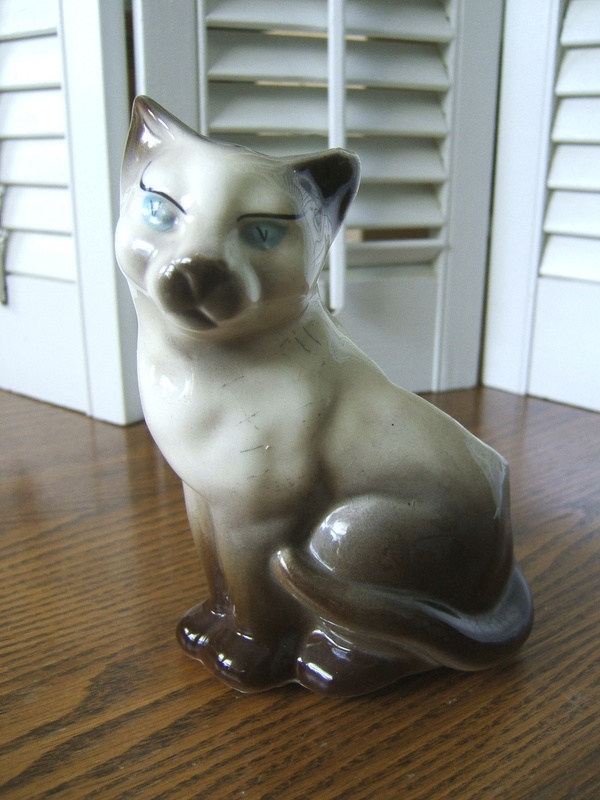 I found this unmarked vintage Siamese kitty planter. To continue the retro theme, we picked up a box of 45 records. 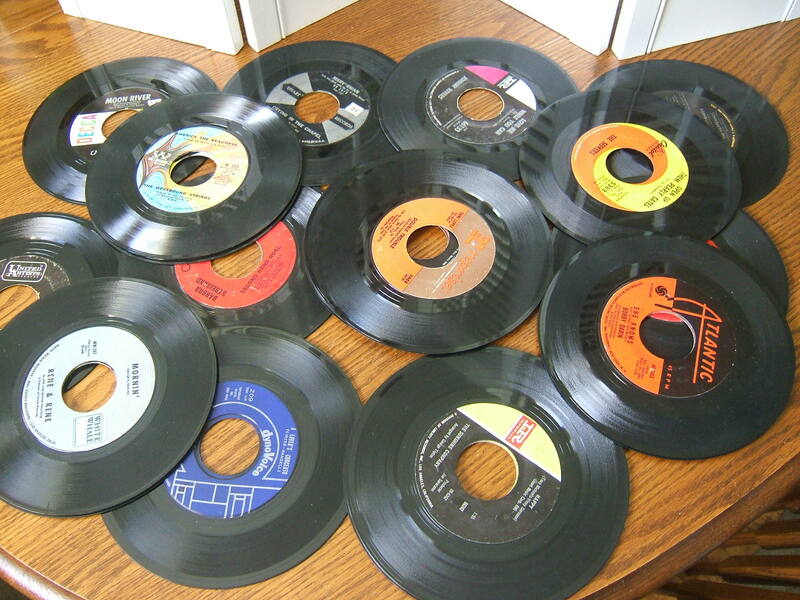 It was fun to go through them to see how many of the tunes we knew. The church man who was selling them said he could sing them all. I do wonder if he could also recite the stories on the children’s 45s that were included? 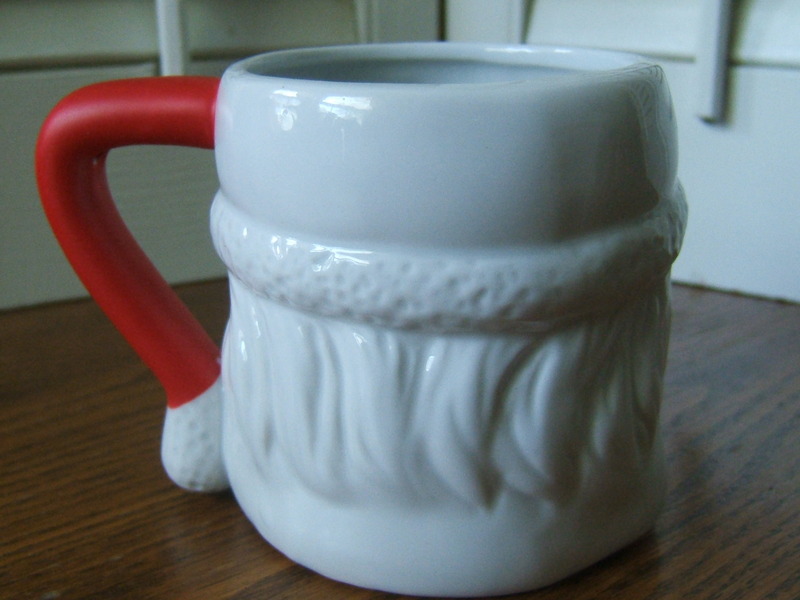 YSCE actually spotted this Santa mug. He thought we should add it to our Santa mug collection. 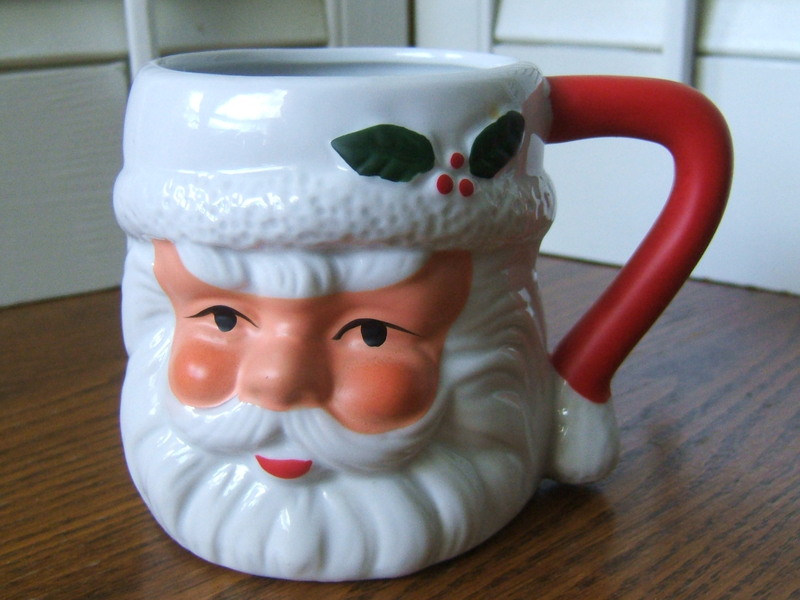 I like how Santa’s hair is carried around to the back side of the mug. 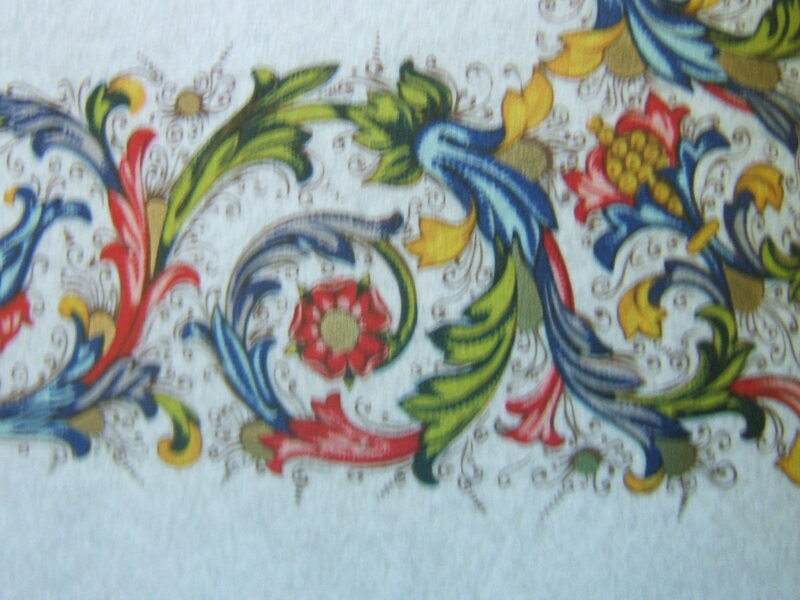 To round out our retro items, we found some embroidered napkins which could easily be used during Christmas. Santa looks at home with them, don’t you think? 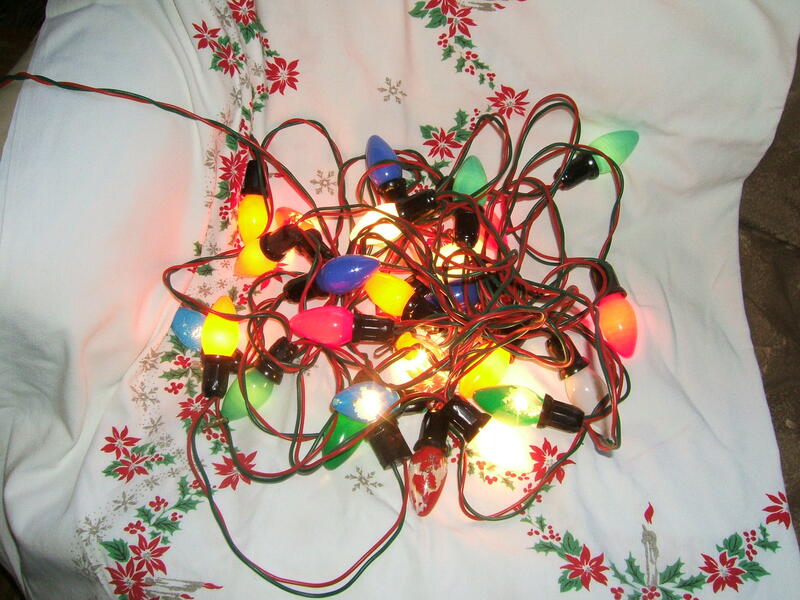 There were also several vintage Christmas light strands among our purchases. Each strand lit up, too! I count it a successful day when I can rescue some retro / vintage items and bring those treasures home to keep or share with others. Sometimes it’s just the walk down memory lane that is fun and oh, so worth the 50 cents or $1 cost for the item! 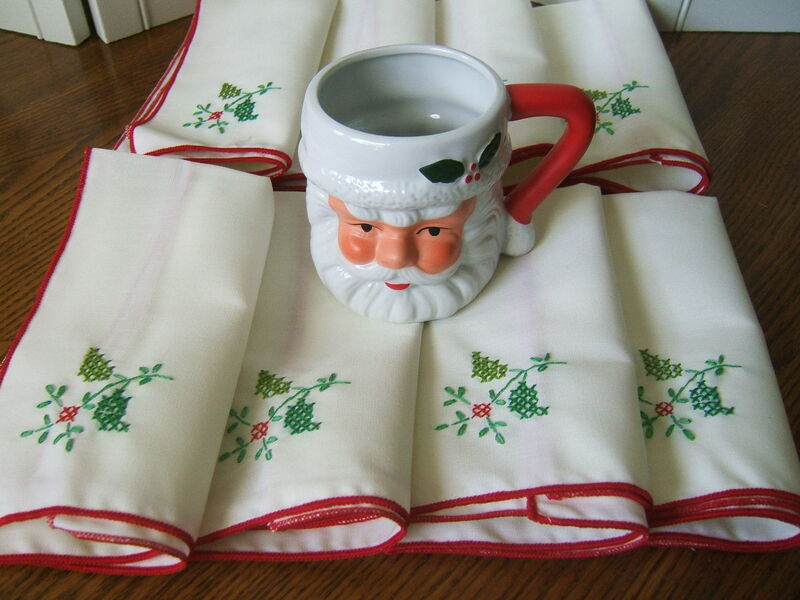 This entry was posted in Garage Sales, Santa, Scotties, Silver, Thrifting, Vintage, Yard Sales and tagged Disney Page Paint Tin, Santa Mug, Silver Plate, Star Trek. Bookmark the permalink. 4 Responses to Live from My Town, It’s Retro Saturday Morning! All lovely finds Tammy! I think the English cream pitcher is absolutely beautiful! Have fun with those vintage records! On Saturday Kathy and I stopped at the eclectic store on the east side of Rt. 340 just north of the intersection with Rt. 50 (and south of Boyce, VA). I saw a big box of old LP 33 albums. I still have a turn-table and wanted to stop and browse through them but alas, I didn’t have an extra two hours (I usually fall in love with at least half the old LP’s I see if I start looking at them!) :). Love it, anything retro is awesome. It always reminds me of my Grandpa’s Christmas tree in fact have you ever come across the bubble lights? They were awesome too! Anyways my family and I love old stuff and often see us at estate auctions or garage sales. Great post and I look forward to following you.